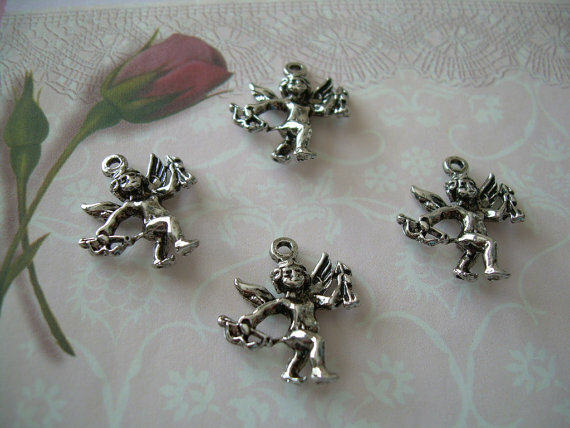 Set of 4 detailed Cupid Charms in Silver Ox Metal, which gives them a wondeful Victorian look. Lovely quality and dimension on these little vintage cherub findings! Add to earrings, charm bracelets, or use as pendants!